The Fairytale Hairdresser is back! You may already know the awesome Fairytale Hairdresser, Kittie Lacey – hairdresser to the biggest names in Fairyland! From the beards of The Seven Dwarfs to the luscious long locks of Rapunzel, Kittie has worked her hairstyling magic right across the land. 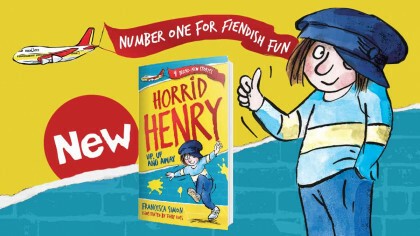 She’s even styled the Big Bad Wolf! After all that snipping and blow drying The Fairytale Hairdresser deserves a break! She’s jetting away on a much needed holiday but in no time at all, she gets tangled up in a world of flying carpets, mysterious jewels and magical lamps. Can she rescue Aladdin, free the genie and save the day? Catch up with Kittie Lacey in the brand-new Fairytale Hairdresser adventure! 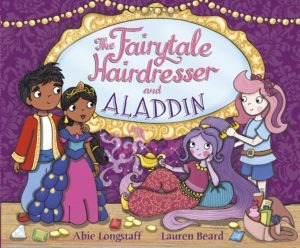 The Fairytale Hairdresser and Aladdin, written by Abie Longstaff with stunning illustrations from Lauren Beard is out now! 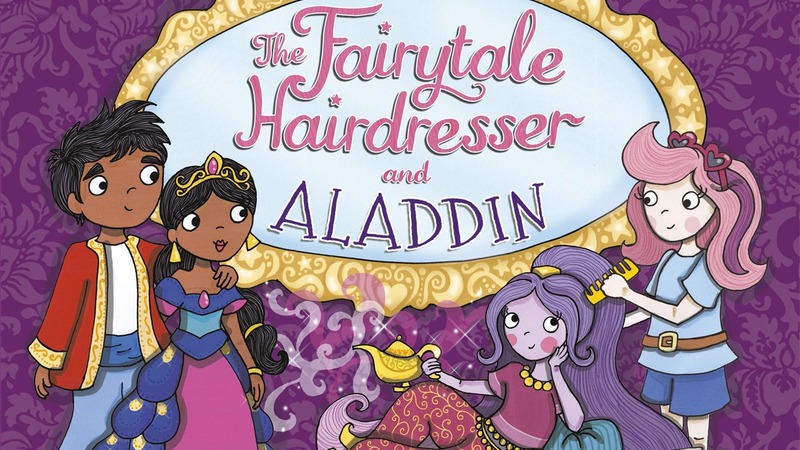 Click here to get The Fairytale Hairdresser and Aladdin!